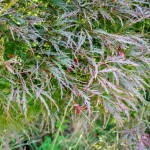 Red leaf dissectums are the other classic weeping Japanese maple and by far the most popular variety. 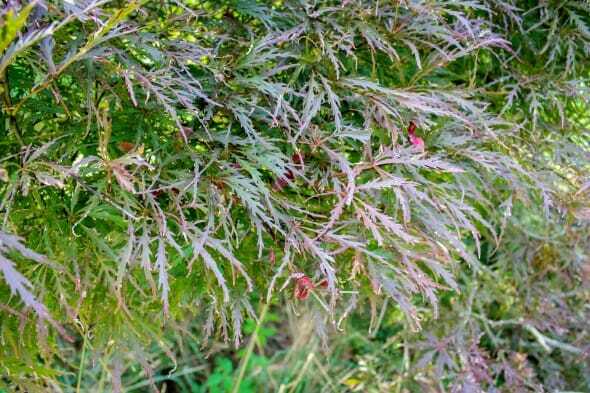 Ever Red has purple-red spring foliage that fades to greenish-red in summer and reverts back to red in early fall. 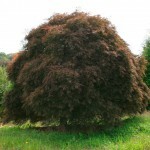 Tight, cascading habit is unique amongst small trees and mounding effect becomes more pronounced with age.